VIA ARTiGO A2000 is a storage-oriented compact barebone PC that's big on capacity and low on power consumption. Supporting two desktop hard drives, this unique barebone storage system is a perfect fit for home download applications, providing ample storage space in an energy-efficient, compact, and low-noise chassis. The VIA ARTiGO A2000 is based around a 1.5 GHz VIA C7®-D processor and the latest VIA VX800 media system processor for a compact, secure, and power-efficient home storage PC. The VIA C7-D processor uses the exclusive VIA Hardware Security Engine to ensure ample, secure storage of all your digital media and personal data files. Based on the VIA VX800 Unified Digital Media IGP chipset the ARTiGO A2000 features the VIA Chrome™9 HC3 DirectX 9™ graphics engine and hardware video acceleration for a smooth, compelling visual experience. The VIA High Definition Audio codec provides high fidelity audio, completing an immersive digital media experience. The VIA ARTiGO A2000 is designed using a custom Nano-ITX form factor mainboard. Using high quality solid capacitors, this superbly compact native x86 mainboard is optimized for system stability in always-on home server, streaming and download applications. Its silent ball-bearing fan ensures that the system is remains sufficiently cooled without creating unwanted noise. The VIA ARTiGO A2000 supports up to 2 GB of 667/533 MHz DDR2 SODIMM memory — enabling it to comfortably run Windows Vista. In addition it supports up to 3.0 TB of storage on two 3.5” S-ATA hard drives with data transfer speeds up to 3 Gb/s. There is also the option of discretely installing the system’s operating system on a solid state drive via the ARTiGO A2000’s CompactFlash socket. 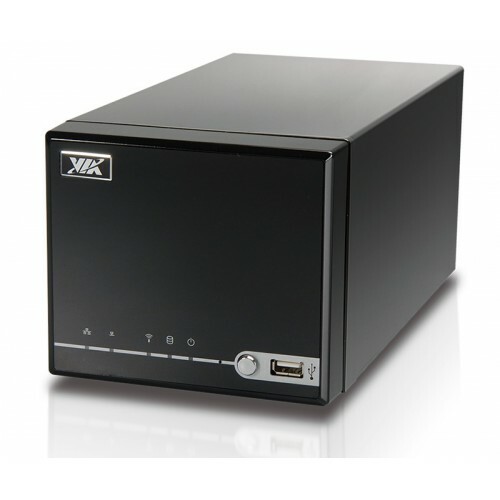 The VIA ARTiGO A2000 is bundled with the VIA Security Suite, a software package that enables users to take advantage of the powerful built-in hardware security of the world's fastest x86 security engine.. Users can protect data by creating encrypted virtual drives with the VIA StrongBox application. VIA StrongBox encrypted drives are the perfect place for users to store their personal data including larger multimedia files and projects. The ARTiGO A2000 comes bundled with the VIA System Management Tool for dedicated 24/7 system monitoring. For users who frequently download media via the internet, the storage monitor utility can be configured to alert the user when free space is below a user-specified percentage. This handy feature helps users to stay proactive in maintaining system stability. A power-off scheduling feature is also included— helping users to conserve energy with the system automatically powering off after downloading completes.